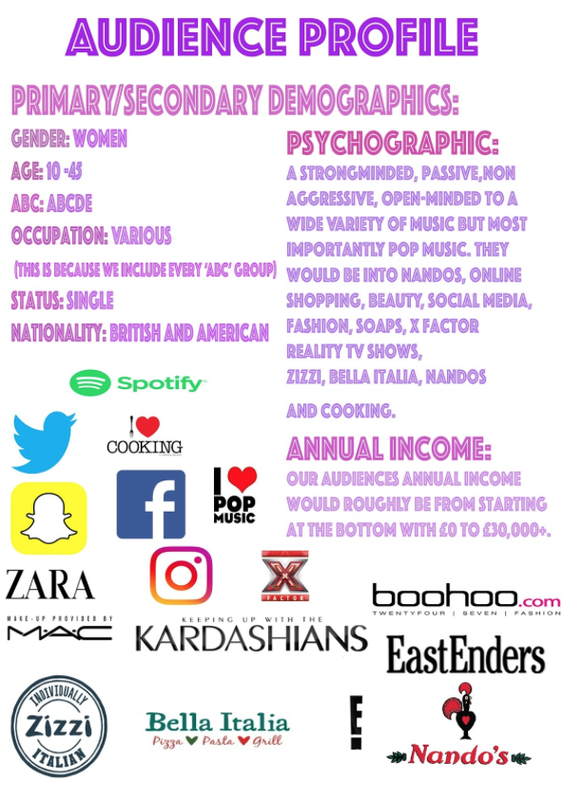 We made a audience profile for our music artist that explains the characteristics of our audience, as see above we have explained who and what our audience members are like. For example the age of them, occupation , nationality, and interests. we have given a overall summary of what there like so you can understand who's going to be in our artists fan base.